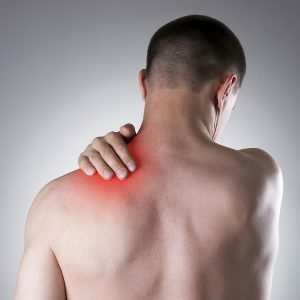 Injury or overuse of muscles, ligaments, and joints. Pressure on nerve roots in the spinal canal. A herniated disc sometimes brought on by repeated vibration or motion (as during sports activity or when using a machine or lifting in the wrong way) or by a sudden heavy strain or increased pressure to the lower back. Osteoarthritis, usually caused by getting older. When osteoarthritis affects the small joints in the spine, it can lead to back pain. Osteoarthritis in other joints, such as the hips, can cause you to limp or to change the way you walk. This can also lead to back pain. Spondylolisthesis, a defect that allows one vertebra to slide over another. 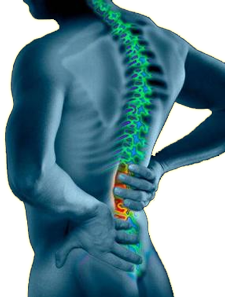 Spinal stenosis, or narrowing of the spinal canal, which is usually caused by getting older. Fractures of the vertebrae caused by a lot of force, such as from an auto or bicycle accident, a direct blow to the spine, or compressing the spine by falling onto the buttocks or head. Spinal deformities, including curvature problems such as severe scoliosis or kyphosis. Compression fractures. These are more common among post-menopausal women with osteoporosis and in men or women after long-term corticosteroid use. In a person with osteoporosis, even a small amount of force put on the spine, as from a sneeze, may cause a compression fracture. 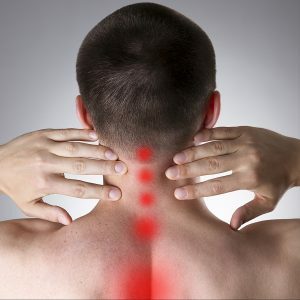 What Kind of Back Problem Do You Have?